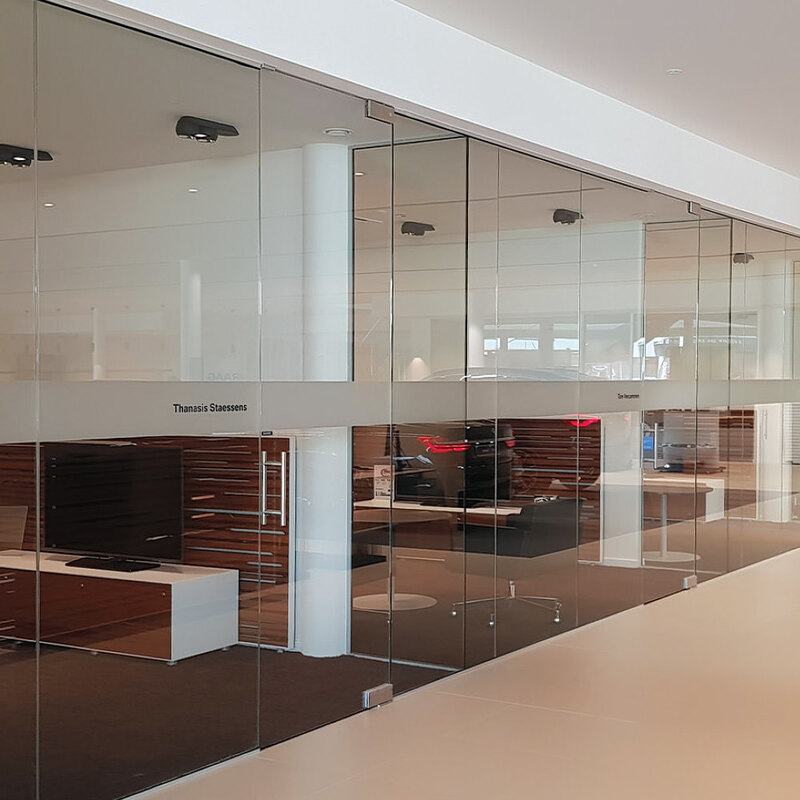 Glass provides your office or business space with light and ensures a minimalistic and clean-cut interior. From glass desktops to glass office modules — with our customized service, you can go in any direction: transparent, matt or coloured, fixed or portable. The result is a space with clearly delineated lines that creates not only a comforting feeling, but also one of solidarity on the shop floor.